Ilene L. McCauley has been a member of the State Bar of Arizona since 1982. She has been certified by the Arizona Board of Legal Specialization as a Certified Specialist in Taxation since 1983. 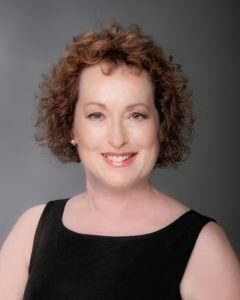 She was named “Top Estate Planning Attorney” in the Valley 2011 through 2014 and has a “superb” rating from AVVO for 2015. Ms. McCauley is a member of Wealth Counsel. She was selected by the Tax Advisory Commission to serve an appointment on the Tax Advisory Commission of the State Bar of Arizona. She was formerly appointed to the position of Adjunct Professor at the Estate and Wealth Strategies Institute at Michigan State University and has taught advanced tax, business, and estate planning courses via the internet. Ms. McCauley is a noted speaker and is well sought after for speaking and radio engagements. She has been co-chair and speaker for seminars titled “Tax Planning for Small Business”; “Bridge the Gap Basic Legal Skills”; and “Pet Trust Planning” sponsored by the State Bar of Arizona. Her most recent articles include “Charitable Remainder Trusts Are Back; “Goals and the Consultative Process”; and “Supplemental Needs Trusts For Special People”. In addition, Ms. McCauley conducts multiple seminars each year that provide continuing education credits for financial and insurance professionals. She writes an informational newsletter which you may access on her website www.ilmlaw.net or you can subscribe by emailing her at ilmlaw.net. Ms. McCauley earned her BA from Binghamton University; her JD from Hofstra University School of Law; her LLM (Masters of Law in Taxation) from DePaul University School of Law and her second post-doctoral degree in Advanced Tax and Estate Planning from the Esperti-Peterson Institute.